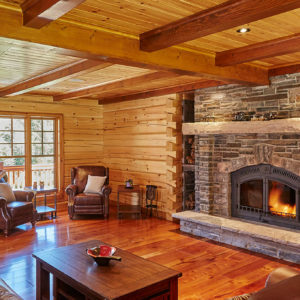 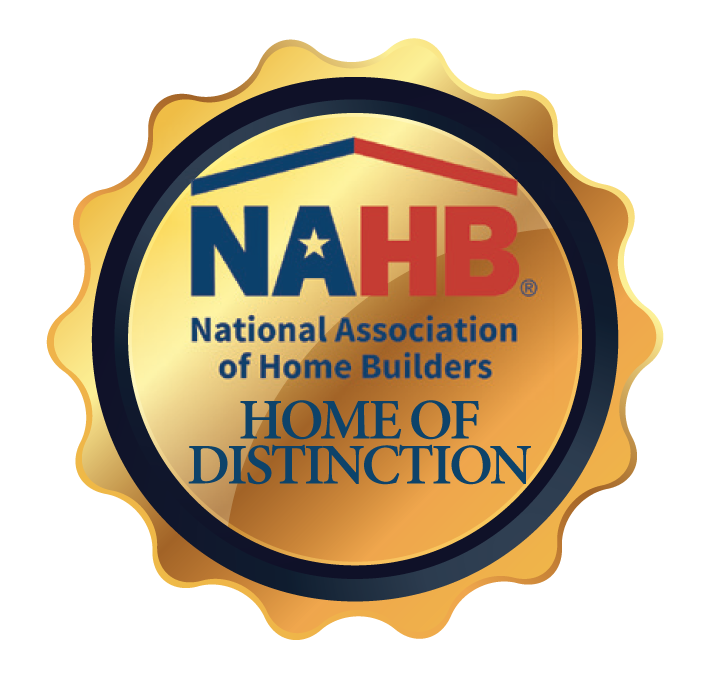 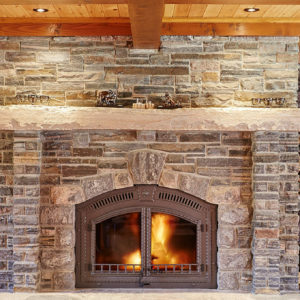 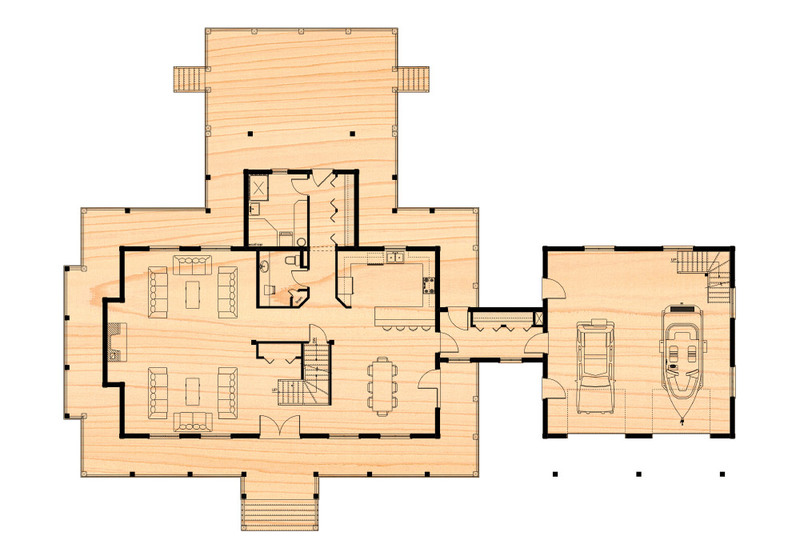 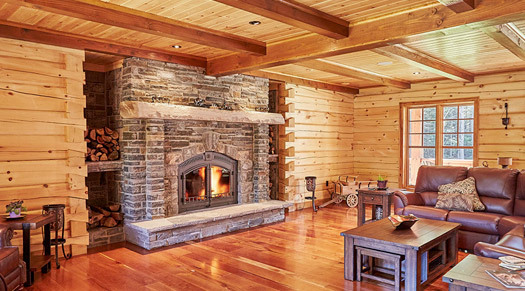 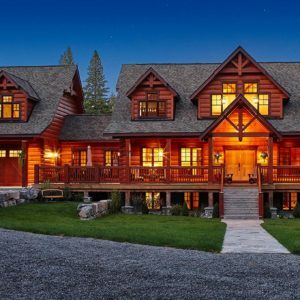 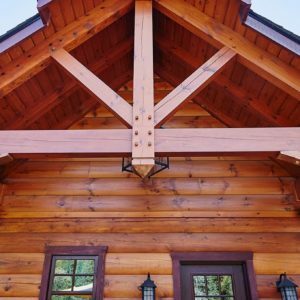 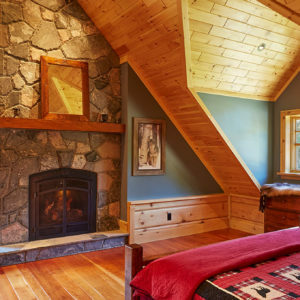 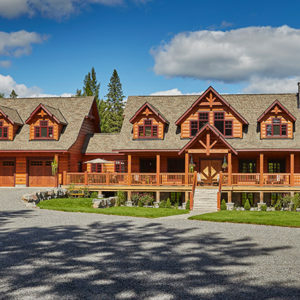 The ultimate custom log home to promote maximum relaxation. 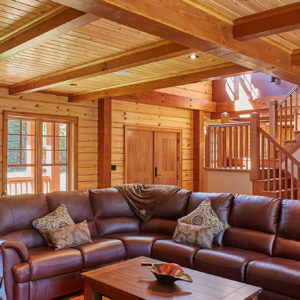 Featuring a huge family room, open kitchen and dining area, brought together with a soaring King Post. 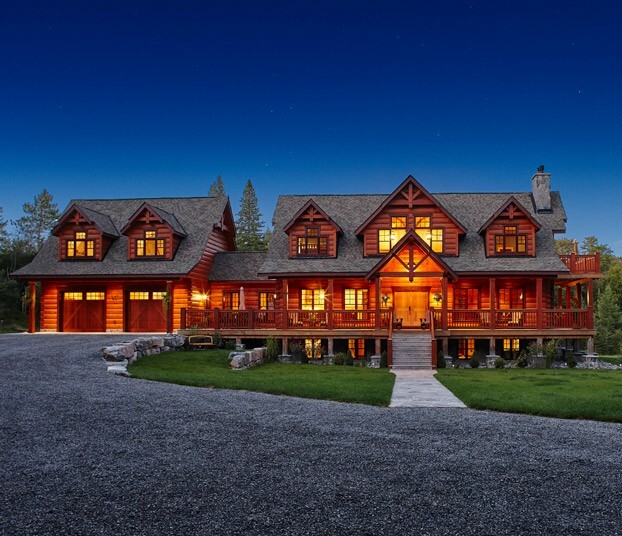 The perfect place to come home to after a long day. 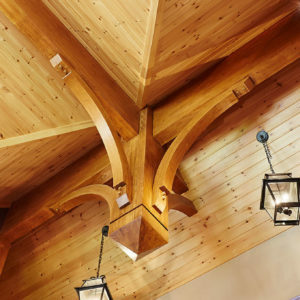 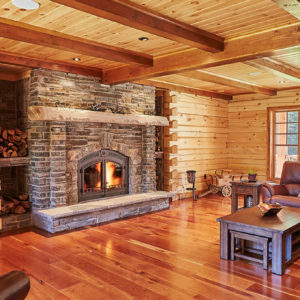 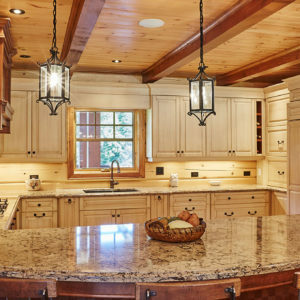 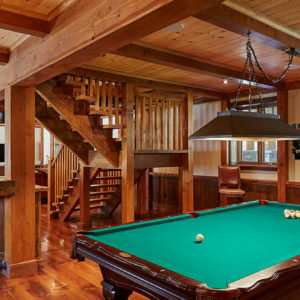 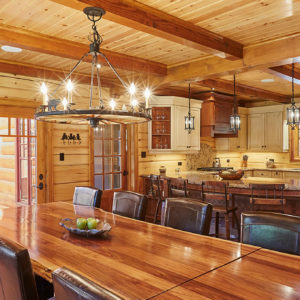 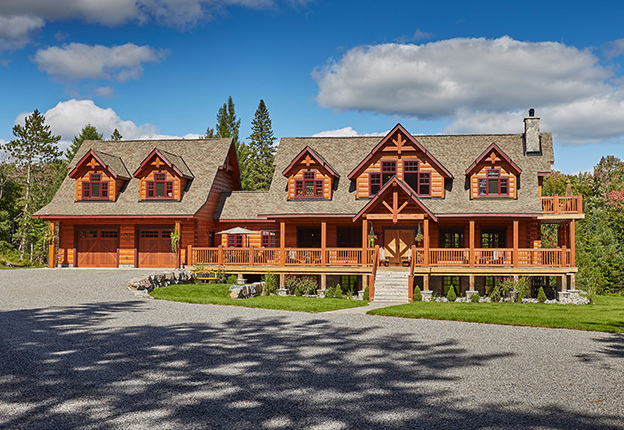 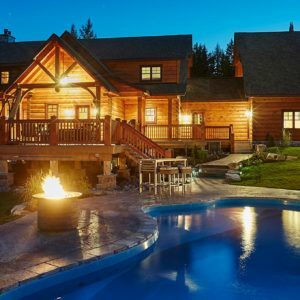 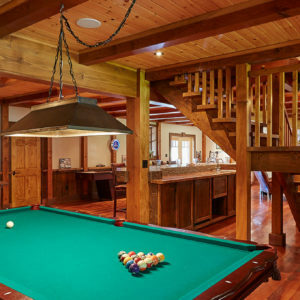 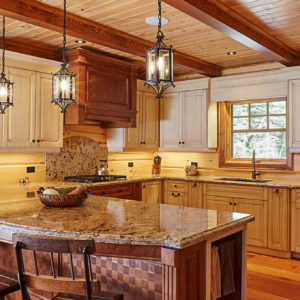 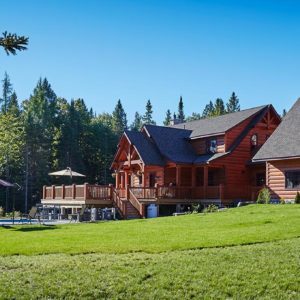 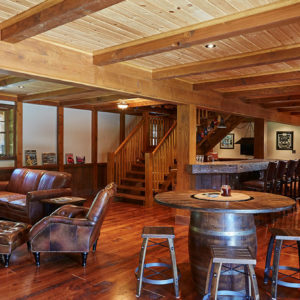 This beautiful custom log home features a huge family room, open kitchen and dining area, brought together with a soaring King Post feature. 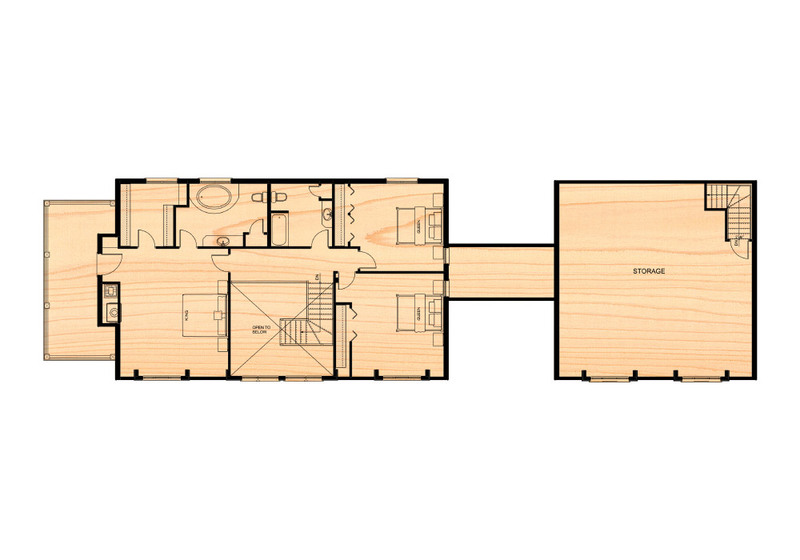 Upstairs discover a comfortable and spacious master suite with a walk-in closet, deep soaker tub, and second-storey deck, plus two other bedrooms and a full bathroom. 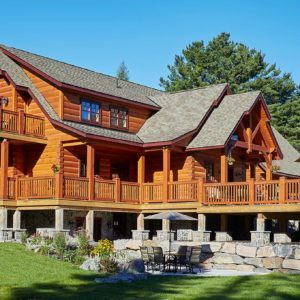 What really catches the eye is the full, oversized wrap-around deck and double-storey garage with enough room for all your toys and storage space to spare.